I won a contest! haha! 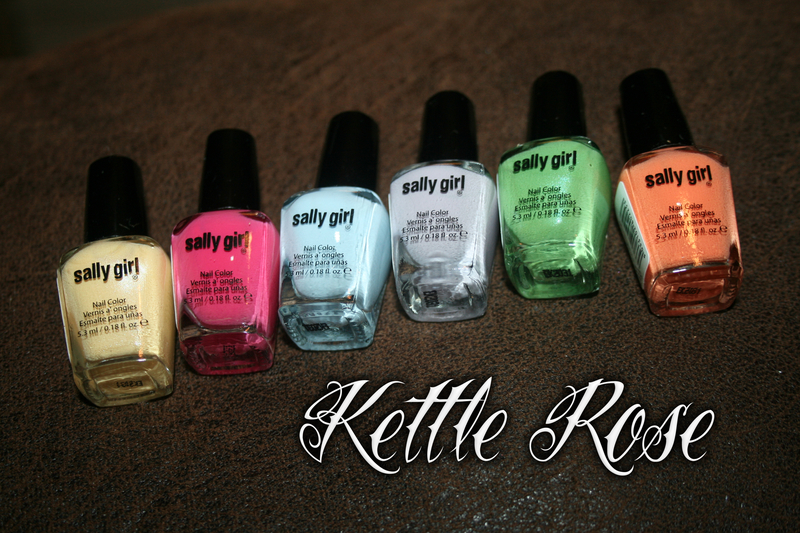 I entered my cloud manicure to Sally Girl’s Facebook page. And I won! I was so excited. When I got these in the mail I was super excited. I swatched the yellow one first… then I realized that I shouldn’t have. The entire collection is scented. Yellow isn’t lemon – that’d be awesome. Instead it’s one of the 7 scents that make me puke instantly. Banana. The other scents that make me sick are cherry, grape, coconut, and wintergreen. These really are gorgeous colors though. So let’s see them. Banana | Yep, this one is scented like banana. Strongly. It’s fine if you like the scent, in fact all of them are, just not for me. It smells like that really hard candy that’s shaped like a banana. I think it’s a Wonka candy… the color is pretty. 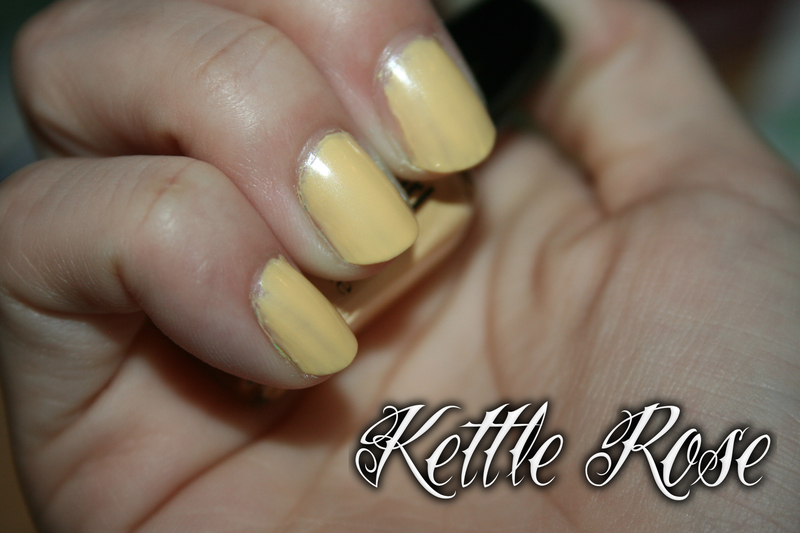 A shimmery pastel yellow. The shimmer is really just a slight pearl. It is pretty. It’s a shame it makes me so sick. Cherry | Number two on the list of “Scents That Make Britni Sick” is Cherry, which is less of a cherry color and more of a fuchsia. This one had good coverage and the scent wasn’t that bad. But I couldn’t keep this on more than the 5 minutes that it took to paint and picture it. 😦 Another pretty color. Coconut | Third scent in the collection that is also on my “do not smell” list. 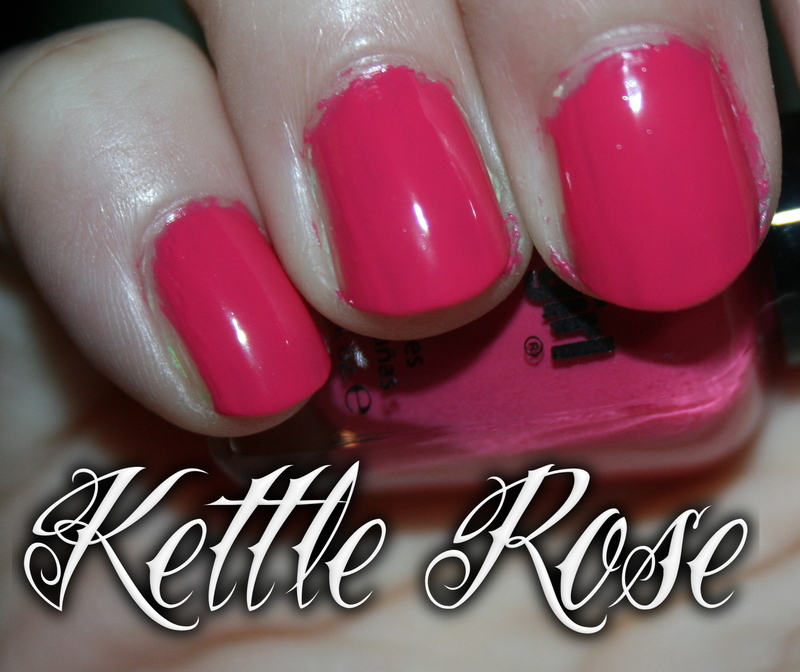 But this is a really pretty color. This is a white-blue. What I mean is that it’s like sky blue, but whiter. Grape | Another scent I can’t stand. 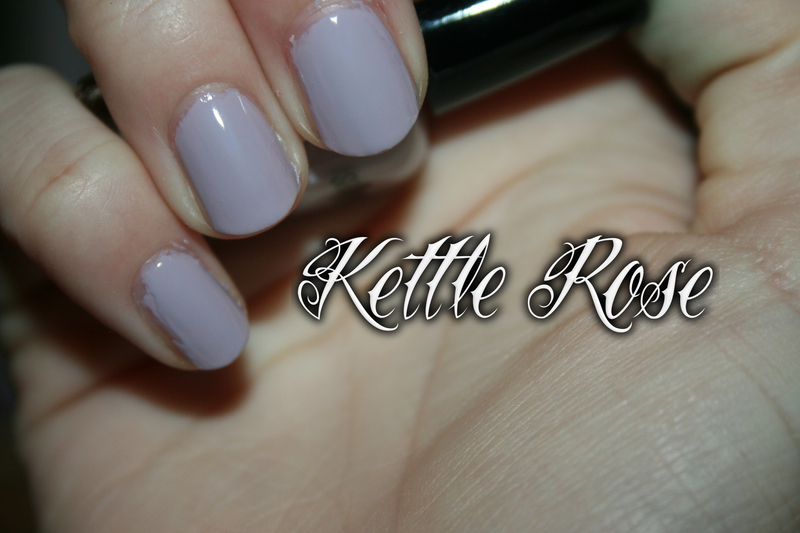 This is probably one of my favorites of the bunch though, it’s super creamy and soft. VERY spring. It’s a grayer purple, not very vibrant. Lime | Yes! A color AND a scent that is irresistible. This smells so delicious. Like a Tic Tac or something. And the color is really close to China Glaze’s Gaga for Green or Tree Hugger in that it’s a yellow based light-medium green. 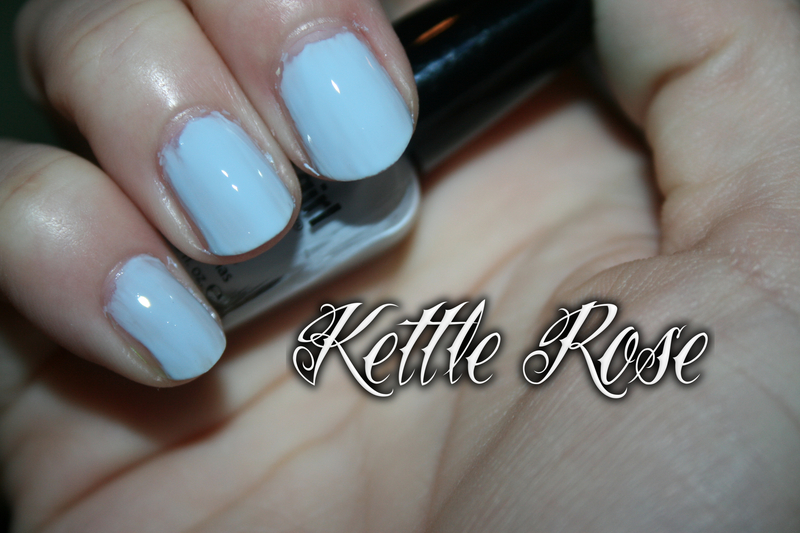 It has gorgeous blue shimmer and is super shiny without topcoat. Orange | Another super pretty one! The scent is the generic orange scent you get from Pledge or Tic Tacs. This orange is just a basic yellow-leaning neutral orange. This was one of the more opaque ones in the group. So that’s the collection. The entire collection is super streaky, but it’s not intolerable. All here are shown with two coats, but three would make them mostly opaque. I’ll be keeping Lime and Orange, but the others will be going to a new home, where they’ll be loved by two adorable little girls. 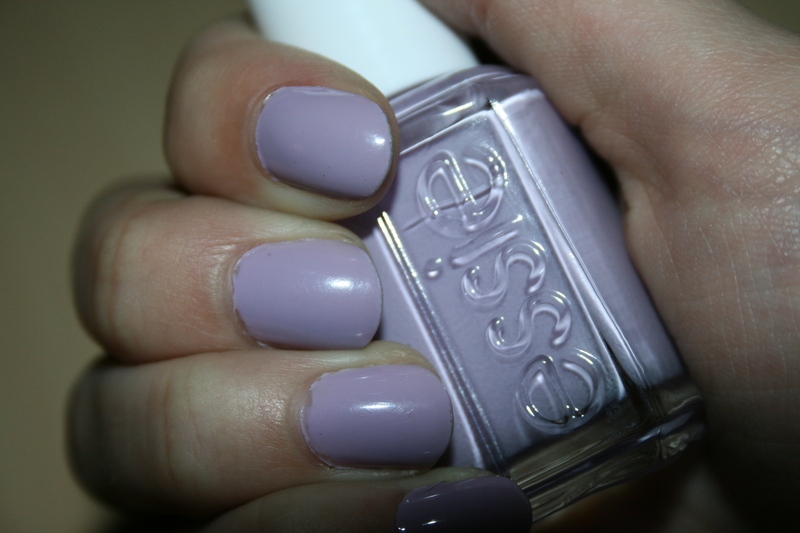 So… today is a simple look, this is Essie Nice is Nice from their “A French Affair” collection for Spring 2011. It’s a perfect lilac/lavender pastel creme. I picked this one up at Walgreen’s last week, and painted my nails on March 18th, so these pictures were taken after three days of wear… There are some nicks and bubbles, which are all my fault, I know, I know. I just can’t sit still that long! lol The tip wear is caused not by time and use, but I believe it’s because of Seche Vite shrinking, as it’s known to do. Good news, though! It hasn’t worsened at all! Essie has fought off the dreaded Twitter Tip! (You know, the edge you get when you text and type… it’s where polish wears the quickest.) 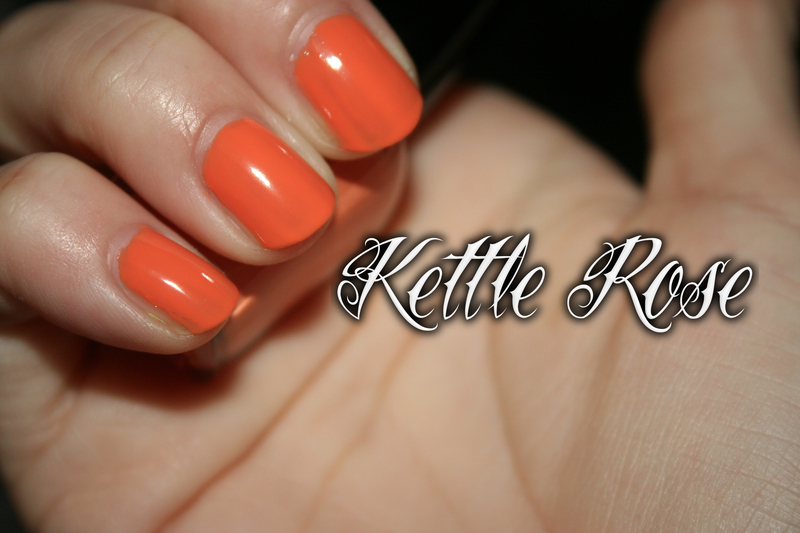 This polish is truly amazing. I love the finish and I am obsessed with the color. It’s perfect against my skin, and it makes my Italian-Irish Confused skin color less red and more tan-looking. Which is always a plus, right? Right. The only con for this polish is a big one. It applies like crap. It was… “gloopy.” Not too thick, thick can be good, but not this. This was extremely uneven. However it does somewhat fix itself with the second coat, but it can get draggy and meh. 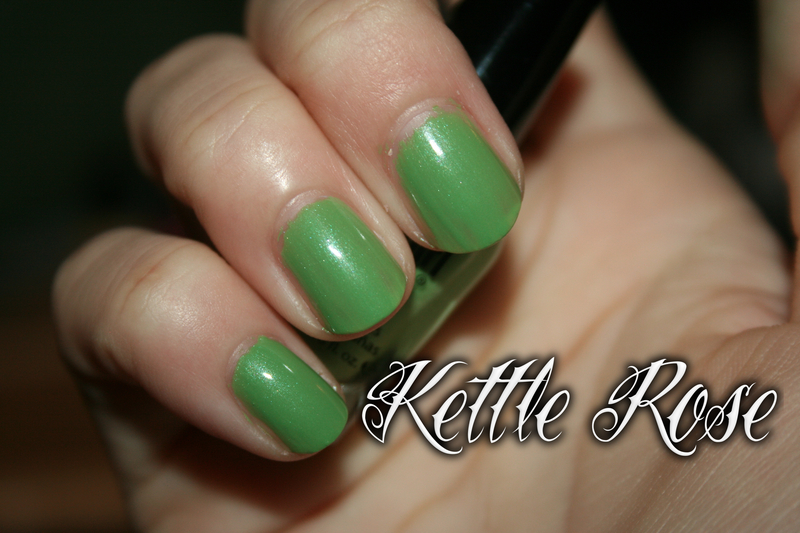 A thick coat of Seche Vite will even everything out and make it smooth and gorgeous. It becomes completely opaque with just two medium thickness coats. This is a spring basic that needs to be in every girls collection.